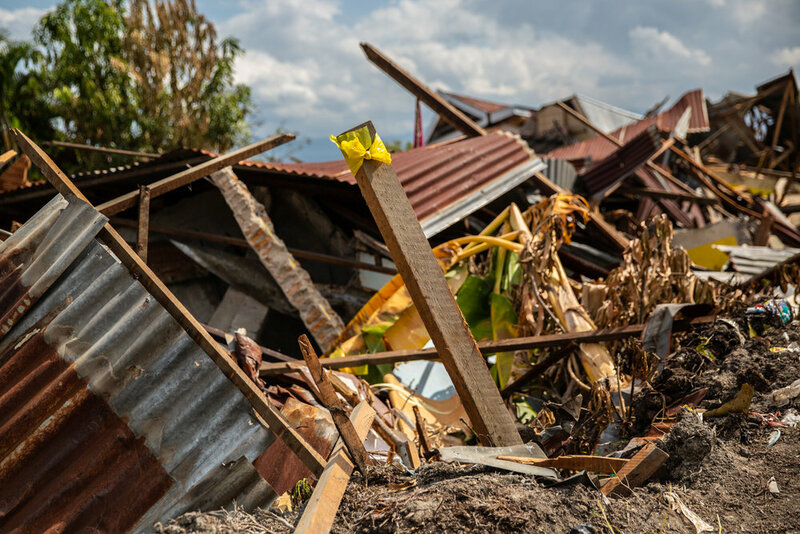 On Friday afternoon September 28, 2018 Central Sulawesi, Indonesia, was hit by deadly earthquake that triggered tsunami and liquefaction that destroyed many places. According to the country’s national disaster mitigation agency, death toll had risen to 2,113 with 1,309 still missing on the last day of the search and rescue two weeks later. 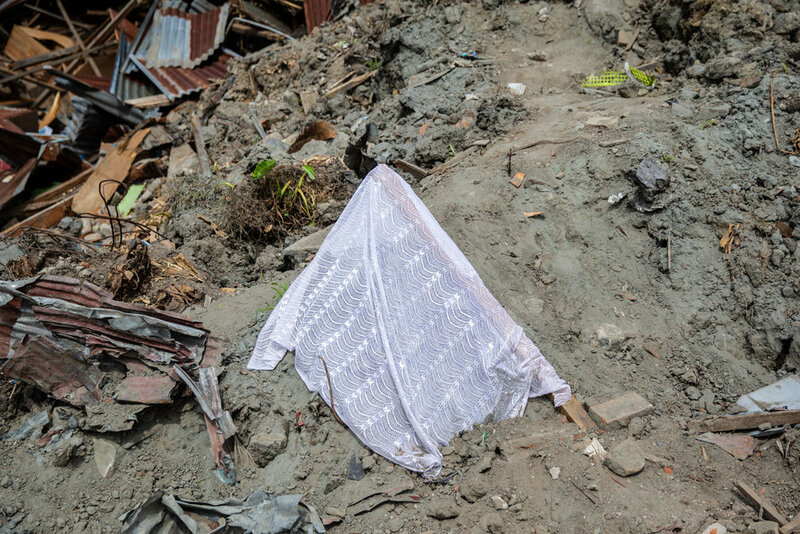 Amid the ruins of Balaroa housing complex, Putu Sayoga met Huzaimah (38), one of the survivors of the disaster. Her eyes filled with tears as she told her story escaping death. When the earthquake struck, a cupboard fell on her but luckily she was able to remove it, and then she immediately got out of the house. Sadly, her elder sister was lost amid the stumbling ground and had not been discovered. “That's why we put a sign there (pointing to the flag placed on the ruins) in the hope to find my sister even though she might have been dead”, she said. 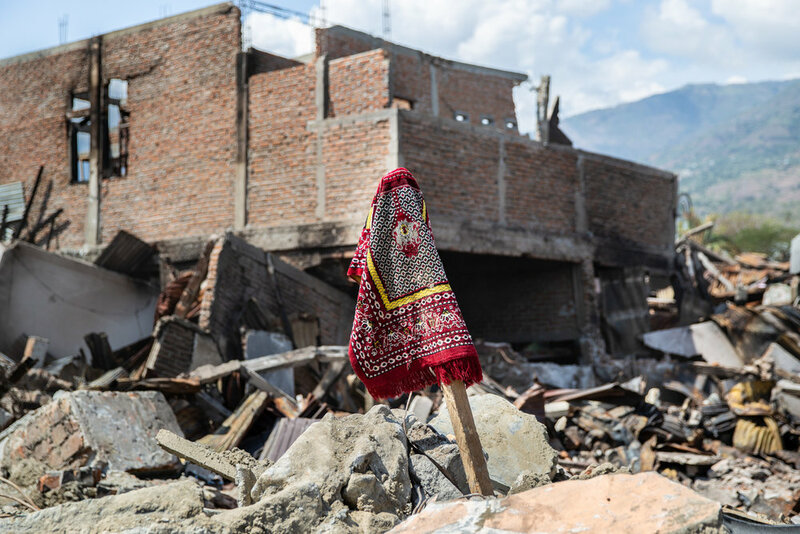 When the photographer was walking around the area, he found some similar signs, signifying a hope that the search and rescue team would be able to find their relatives or loved ones.